If you are involved in an auto collision, the other driver’s insurance company begins its defense as soon as the claim is reported. They will do everything they can to get you to say that the collision was your fault, that it was only a minor impact, and that you are not injured. Insurance companies will do this even if the other driver (their insured) has already admitted fault. This is not an attack on the insurance industry. It’s simply the TRUTH!!! That’s what the insurance companies do… They deny and devalue claims, and they make lots and lots of money doing it. Insurance companies will do everything possible to create reasons to deny or devalue claims. The first this an insurance company will do is try to take your recorded statement. The insurance adjuster will tell you that it is an “painless process,” it is “required,” and its “only used to evaluate the claim.” None of this is true. While the process of giving a recorded statement may be painless, oftentimes the results are far from painless. Recorded statements can be very damaging to your claim, and can be used against you during future litigation, and even at trial. During a recorded statement, insurance adjusters will do everything they can to get you to say things that they can then use against you to prove you were at fault for the collision. They will also try to get you to say things to devalue your injury claim. Your own insurance company will also try to take your recorded statement. While your own insurance company may be on your side when it comes to who was at fault for the accident, your own insurance company will still try to devalue your injury claim. And a recorded statements taken by your own insurance company can still be used against you by the other side. When an insurance adjuster brings up a recorded statement, politely but firmly refuse to give one. To devalue your injures, insurance companies love to argue that all of your injuries were pre-existing and not caused by the collision. Insurance companies will obtain all of your medical records from before and after the accident. Insurance companies hire medical experts to review all of your past medical records to find any injury or complaint of pain that is similar to the injuries and pain you are suffering from as a result of your collision. If similar injuries or complaints of pain do exist in your medical history, the insurance company will try to convince the jury that your injuries and pain complaints existed before the collision, and the collision had nothing to do with your injuries and pain. If you do have any pre-existing injuries, the best way to eliminate this insurance company defense tactic is to make sure your lawyer knows about those pre-existing injuries. Differentiating your current injuries and pain from any pre-existing injuries and pain is the name of the game here, and it can and must be done. One key way an insurance company will deny or devalue your injury claim is by exploiting any gap in treatment following the collision. It’s perfectly reasonable for you to go home after your auto collision to rest and recover. Maybe you’ll spend a few days just taking Advil or Tylenol. And when that doesn’t work after one week, then you’ll visit an urgent care or your primary care doctor to tell them about the collision and your pain. They will take x-rays and prescribe stronger painkillers, muscle relaxers, physical therapy, or more. But the insurance company will exploit this one-week gap between when the collision happened and when you finally went to see a doctor. They’ll say, “If they were in pain, why did they wait one week to go see a doctor? They’re making it all up!” It’s ridiculous, but it’s true. That’s what insurance companies do, and juries believe the noise. The best way to eliminate this insurance company defense tactic is simply to see a doctor right away, within 24 hours of your collision. Sometimes you won’t have a choice, as you will be taken to an emergency room in an ambulance. But if you leave the scene of a collision on your own and head home, be sure to get yourself to a doctor within 24 hours. Most times, an urgent care facility is a great option. Urgent care facilities tend to be less crowded and more efficient than emergency rooms. If you can get in to see your primary care doctor, that’s also a great option. Just be sure to do it quickly! No matter how strong your claim is, the insurance companies will still deny their driver was at fault, and they will delay paying fair and just compensation for your injuries. Insurance companies earn incredible amounts of money by delaying and denying claims. It’s the most fundamental part of their business model! Insurance companies depend on good and honest people with legitimate claims giving up or accepting a lower settlement, rather than continuing to fight for full and just compensation. Oftentimes insurance companies will deny fault until the very day of trial. The only way to truly fight back against this insurance company tactic is to speak with a qualified personal injury attorney immediately after your collision. Insurance company tricks and tactics are sneaky and underhanded. They do not have your best interests at heart. They only care about their own financial bottom line. The topics covered above are only the tip of the iceberg. If you are involved in an automobile accident, do not wade into this fight alone. 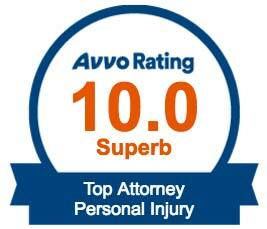 You are entitled to full and fair compensation for all of your injuries and damages. Make sure you get it! 1. STAY IN YOUR CAR AND GET TO A SAFE SPOT. Never get out of your car in traffic. If you get out of your car in the roadway, you might be hit by another car. Your best bet is to stay in your car, and if possible, move your car to a safe spot out of traffic. This usually means over to the right shoulder. If you’re on a busy street, consider turning onto a side street. If your car is too damaged to move safely, or if you or anyone else is too injured to move safely, then just stay in your car and proceed to Step #2. This is a question we get asked all the time. And there is no exactly right answer. The simple answer is: it depends. Another great answer is, as much as you can afford! The whole purpose of insurance is to protect you from the unknown. It is impossible to predict when an accident might occur, and how much damage it will cause. Insurance is all about peace of mind. You buy insurance to put yourself at ease so that if an unfortunate accident occurs, your insurance company will pay for the damages, not you.